Science is not always right. In fact, science advances by being wrong and then conducting research to discover why it was wrong, an effort that leads to better answers. Almost everything you think you know about the world results from that process: Hypothesis —> Test —> New Hypothesis. Many science deniers use a different system: Rumor —> belief —> unshakable belief. Non-scientists do not know more about science than do the real scientists. The notion that a layman can get away with saying any damn fool thing he or she wishes, and then justify it by saying “Scientists often are wrong,” is nothing more than blissful — and harmful — ignorance. By 2000, 1 in 5 pregnant South African women were HIV-positive, with about 70,000 infected babies born each year. Under Nelson Mandela, I was drafting South Africa’s plan to tackle HIV and AIDS, including the roll-out of nationwide treatment. But in 1999 a new president, Thabo Mbeki, had prejudices about science. Mbeki’s line was that poor nutrition, rather than HIV, was the cause of AIDS. (Government officials) were advocating beetroot and garlic to prevent AIDS! A huge problem is the transmission of HIV from mother to baby during childbirth or breastfeeding, which is preventable by giving the mother antiretroviral drugs (ARVs). But Mbeki’s government would not provide ARVs. I saw the effects of this firsthand. We were counting the dead bodies, many of them babies. Scientifically, mother-to-child transmission of HIV, and its prevention, weren’t contentious. Why would anyone object to giving AZT or nevirapine – internationally approved drugs that reduce HIV’s ability to replicate – to a pregnant woman to prevent her infecting her baby? Some even were saying that AZT was toxic and that we were killing black women by using it. Administrators and civil servants kowtowed to Mbeki whether they believed in AIDS denialism or not, and so toed the party line at whatever cost. I once had a call from a doctor at another hospital, who said, “I have an HIV-pregnant woman in labour. I hear you have the drugs to prevent mother-to-child transmission during childbirth. Can I send an ambulance to fetch them?” The ambulance rushed to our unit, and I gave the driver the package. (Today), when the ARVs finally (have been) rolled out it is like Lazarus syndrome. My patients went from needing wheelchairs and oxygen tanks, from lying on stretchers, to healthy. Children I was treating went back to school. ARVs were the most amazing thing to happen to South Africa. In 2008, Mbeki resigned and interim president Kgalema Motlanthe, on his first day in office, appointed a new health minister. It was like waking up from a nightmare. Mbeki’s stance on HIV was ultimately his undoing, and with him gone South Africa began making ARVs available in all its clinics, to anyone who needed them. Well, that was South Africa, a backward people. Fortunately, such ignorant science-denial could not happen in The United States of America, a scientifically sophisticated nation. If one of our leaders arbitrarily denied the scientific consensus, he would be run out of town. Right? EVERY year, millions of children and adults are vaccinated against diseases that only a few decades ago were terrifying and deadly, including rubella, polio and measles. Meredith Wadman’s meticulously researched book begins with the heart-rending account of a baby girl born in 1964 who survived just 16 months before succumbing to the effects of maternally transmitted rubella. She spent only nine days of her life outside hospital. The fear and horror these diseases cause is a fading memory, and despite the fact that vaccines work, the sceptics are gaining ground, their claims given credence by a handful of Hollywood stars and now by US president Donald Trump. Some mothers have stopped immunizing their young children because of doubts about vaccine safety. President Trump’s embrace of discredited theories linking vaccines to autism has energized the anti-vaccine movement. The movement is raising doubts about basic childhood health care. Public health experts warn that this growing movement threatens one of the most successful medical innovations of modern times. Globally, vaccines prevent the deaths of about 2.5 million children every year, but deadly diseases such as measles and whooping cough still circulate in populations where enough people are unvaccinated. 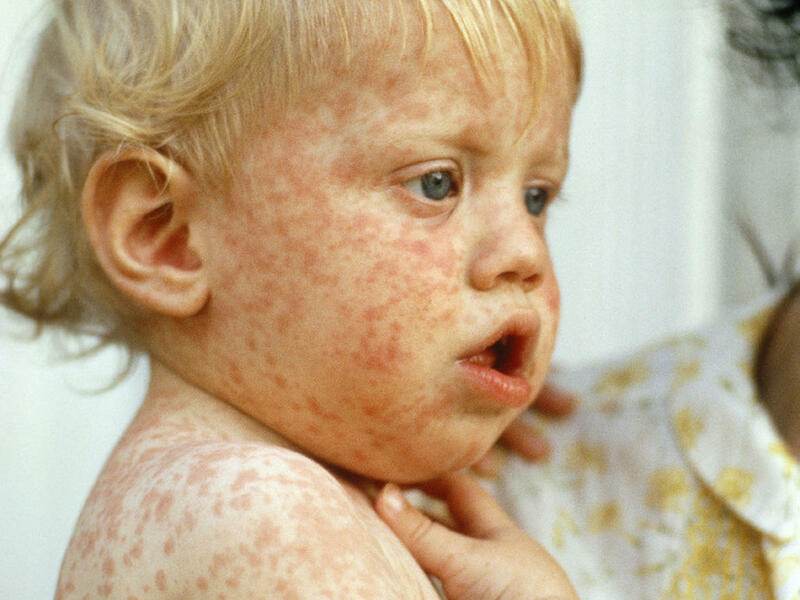 Measles was eliminated in the United States more than 15 years ago, but the highly contagious disease has made a return in Texas, in part because of parents refusing to vaccinate their children. Scores of large-scale, long-term studies from around the world since then have proved that there is no connection between vaccines and autism. Some Texas public schools are dangerously close to the threshold at which measles outbreaks can be expected. A third of students at some private schools are unvaccinated. In some parts of Texas, vaccine coverage is slipping below the 90 to 95 percent level that experts say is needed to prevent an outbreak. Many private schools have the highest rates of unvaccinated children, exceeding 20 percent. One only can wonder how many children President Trump will kill with his anti-science, anti-vaccination ignorance. Previously, Trump had described climate change as a hoax, but he also (hired) EPA Administrator Scott Pruitt (who) has questioned whether CO2 is causing the globe to warm. In a press briefing Thursday, Mick Mulvaney, the head of Trump’s Office of Management and Budget, was unequivocal about the administration’s attitude toward the issue. Donald Trump does not know more about global warming than do the climate scientists. If President Trump’s vaccination denial doesn’t kill you and your children with measles, mumps, rubella, chicken pox, diphtheria, polio, and tetanus, etc., he will get your family later with the multitude of disasters caused by his global warming denial. You are trusting your life and our planet to Donald Trump. There are stiff penalties for ignorance. The same ‘expert scientists’ who now promote vaccines also promoted circumcision once upon a time. They even claimed that babies feel no pain. Stefan Lanka won a court case in Germany where it was ruled that the Measles virus has never been isolated. Referencing some scientific belief that may or may not have been wrong in the past does not invalidate unrelated scientific beliefs of today. Presumably, you could use your example to “disprove” all science — which would turn you into Donald Trump. At any rate, are you saying the measles vaccine doesn’t prevent measles? What is your evidence? Oh, and by the way, you are 100% wrong about the court ruling and vaccine-denier Lanka. The court ruled against his belief, and at first ordered him to pay, but later ruled that he had the right to define “proof” in any way he wanted. In short, no matter what proof was offered, he simply could say it was not enough. Yes, I know. You have an unshakable belief. Do you also join with Trump in having an unshakable belief that climate change is a Chinese hoax? Well I looked into the original court transcript. Are you a scientist? I’m not, but I follow the findings of the entire scientific community. What do you follow? What makes you sure the entire scientific community is wrong about measles? Lanka believes measles is a psychosomatic disease. What data do you have that indicates he is correct? I may have already sent this response so apologies if you receive this twice. I found the original transcript for the case. I may be interpreting it incorrectly however.